This study aims to investigate the early diagnosis and treatment of steroid-induced osteonecrosis of the femoral head. From January 2010 to January 2014, a total of 350 patients, who required the use of large amounts of hormones, were enrolled into the study. These patients were followed up every three months after starting the hormone therapy. A total of 62 cases were screened, among which nine cases were asymptomatic. Furthermore, 38 patients were diagnosed as stage I and were given low-molecular weight heparin (LMWH) and vasodilator drugs. Moreover, 22 cases were diagnosed as stage IIa/b and underwent core decompression. 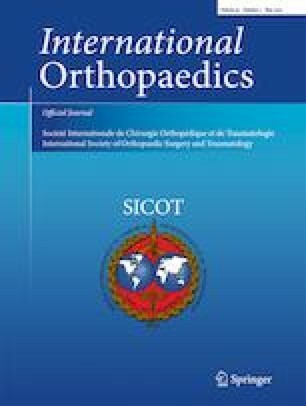 In addition, two cases were diagnosed as stage IIc and underwent pedicled bone transplantation. During the follow-up period, ARCO staging was used for radiological evaluation, the HHS score was applied to evaluate for clinical efficacy, and SPSS 22.0 statistical software was used for the data analysis. A total of 60 patients were followed up for 24 months. Among these patients, 38 patients were diagnosed with ARCO stage I and underwent systematic therapy. No progress was found in 29 cases (76.3%). Furthermore, three cases progressed to stage IIb (7.8%), four cases progressed to stage IIc (10.5%), two cases progressed to stage III and IV, respectively (2.6%), and 16 cases (80%) did not progress after core decompression. In the 16 cases at stage IIa and four cases at stage IIb, and four cases (20%) progressed in stage III. The HHS score of stage I was 80.42 ± 3.25 before follow-up, while the HHS score was 86.46 ± 8.54 after follow-up, and the difference was statistically significant (P < 0.05). Furthermore, the HHS score of patients with stage IIa/b was 70.38 ± 4.62 before follow-up, while the HHS score was 80.28 ± 6.72 after follow-up, and the difference was statistically significant (P < 0.01). MRI remains as the most effective method for the non-invasive diagnosis of osteonecrosis, at present. Enhanced MRI may be able to detect early osteonecrosis, but further research is needed. Drug treatment and core decompression can achieve satisfactory results at the early stage. All patients provided a signed informed consent prior to screening.